The images first shared on Weibo, shows the speaker located at the bottom with no physical button on the display. Although it was rumoured that the device will be bezel-less, the leaks show that the sides bezels are slimmer and there's also the thin top and lower bezel. Unlike the V20, the V30 might skip the second display on top and the device is expected to come in 18:9 aspect ratio display. According to speculation, the bigger variant of the smartphone -- V30 Plus -- might come with bezel-less display. Though there isn't much information about the device which has been revealed. The company has only confirmed that the smartphone will sport a 6-inch FullVision QHD OLED display. The latest video published by LG reveals that the V30 will come with quad DACs for improved sound output. 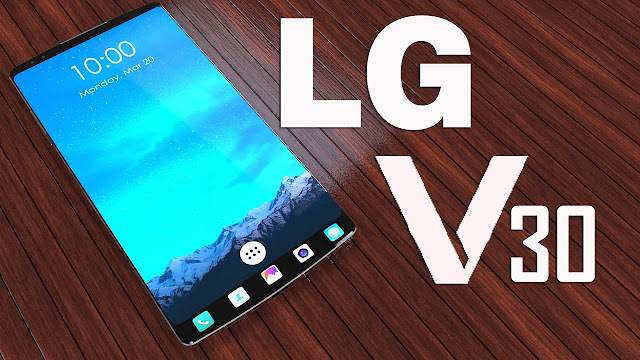 As speculated, the LG V30 is expected to launch with 6-inch OLED display with a Snapdragon 835 and 6GB of RAM inside. A dual camera setup is also expected with 16MP (standard angle) and 13MP (optical angle) lenses and a 3,200mAh battery. Just a few days ago, LG also confirmed the camera V30 is going to sport. In a blog post, the company confirmed that the V30 will house a F1.6 aperture camera, technically making it the fastest smartphone camera in the market today. If rumours are to be believed, the LG V30 might cost around 700 USD while the LG V30 Plus could be priced around 850 USD.